I heard the ad on the radio and thought it was a joke. 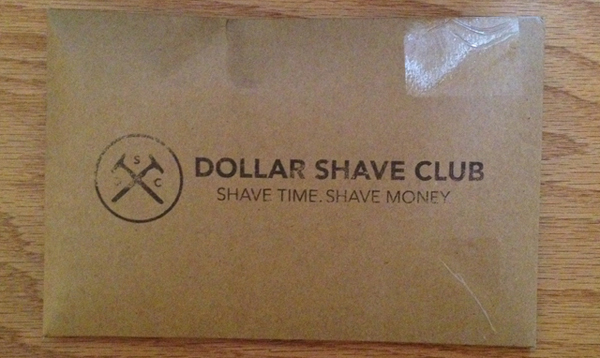 But the Dollar Shave club is no joke. For a dollar, or if you’re feeling squirrely $6 or $9 a month you can get primo razer blades shipped to your door – and the handle for free. Not only that shipping is free for the $6 and $9 a month package. If you’re doing the $1 blade then shipping is $2 extra. Dollar Shave Club is based out of California and founded by two guys Mark Levine and Michael Dubin (Mike in the video). Mike actually came up with the advertisement himself, but it wasn’t something he pulled out of thin air. Prior to starting the Dollar Shave Club, Mike worked for Time Inc. making content for advertisers, although he never worked directly for an ad agency. What he did do was study improv as part of the Upright Citizens Brigade in New York. This experience is what helped him come up with an advertisement for what would launch the Dollar Shave Club into a viral video that promptly crashed the website. The video was so good in fact, it won “Best Out-of-Nowhere Video Campaign” at the 2012 AdAge Viral Video. Awards. (if you’re wanting to watch the video its on the front page of their site here. Enough talking about advertising, videos, and marketing spin. Is this an actual deal ? 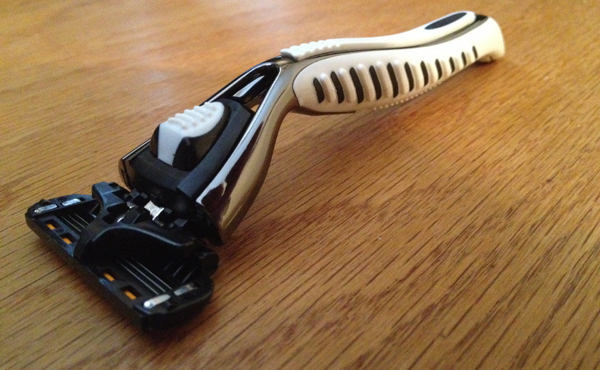 If you’re like me – compare the $1 per month plus $2 shipping to one of the top selling no-frills Gillette Blades Gillette SensorExcel with 2 blades for 24 bucks and you see its not a bad deal. Next step for me was to sign up for the club and I chose the $6 option with the 4 blades – shipping was included and it came with the handle. Upon receiving the package – you note its a cardboard envelope, and inside is a post card welcoming you to the club – humor included. And then several razor blades and the handle. How do they work? Just like you would expect your Gillette Sensor to work, same sharp crisp cut, only a lot cheaper cost for the blades. Now I will point out that you can actually buy these same blades a slight bit cheaper from Dorco USA but in order to make each blade cheaper you have to buy a large qty. 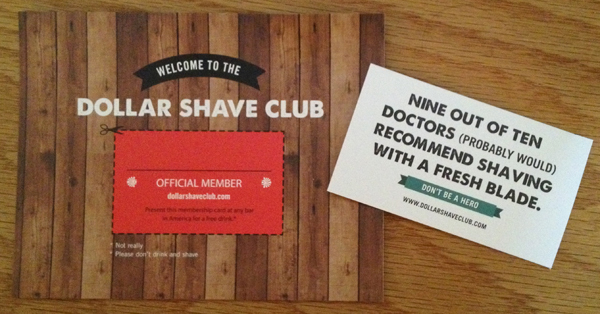 That’s why Dollar Shave Club works – you’re getting a package every month that reminds you – change your blades. Use a fresh blade and you’ll get a great shave. What’s your take? Give it a try? Have you already? What did you think?